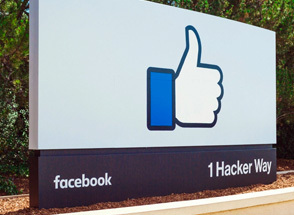 Facebook has delivered above consensus revenue and profits in its fourth quarter. After rising 4.3% during the session before the numbers were released, the group surged another 11.1% in after-hours trading. The recipe for Facebook's success has been a simple one. Take a billion or so daily users, add a huge amount of data on those users and... voila! A perfect canvas for advertisers. Revenue has compounded up at an average rate of close to 50% in the last five years, and a comparatively low cost base means profits have come along for the ride. However, change is in the air. Oodles of data give it great power, but that brings great responsibility. Spending, including on data security and combatting fake news, is being ramped up. It'll also be investing in growing Instagram and its VR capabilities. Facebook will be placing more focus on the tougher to monetise, but increasingly popular, 'Stories' feature. That means revenue growth is set to slow going forwards. The double whammy of weaker revenue growth and higher costs is bad news for profit margins. They're set to fall to somewhere in the mid-thirties in the foreseeable future - some way behind last year's 50. We can understand the rationale. You've got to invest to stay ahead in tech, and making sure Facebook is what users want and trust is crucial. Nonetheless, the uncertainty knocked the share price, which means the group trades on 20.2 times expected earnings. Earnings are still expected to rise by around a third in the next three years though, faster than many other businesses in the same sort of PE range. Q4 numbers were particularly encouraging too, as the number of European active users returned to growth, and average revenue per user jumped to $7.37. Facebook has a balance sheet packed with some $41bn of net cash. Some of that cash is coming back through share buybacks, but investors shouldn't expect a dividend yet. The transformation remains the focus for now. Only time will tell if it'll be a success. However, given Mark Zuckerberg has shown excellent judgement in the past and his changes are clearly with the long-term in mind, we think the group deserves the benefit of the doubt for now. 2018 revenue rose 37% to $55.8bn, costs up 51% to $30.1bn. That's seen margins squeezed from 50% to 45%, but operating profit still rose 23% to $24.9bn. As expected, revenue growth slowed in Q4, rising 30%, with the pace of cost increases picking up - total expenses jumped 62% in the fourth quarter. Facebook now has 2.32bn monthly active users, up 9% on last year. Growth was weighted to the Asia Pacific and Rest of World regions, which taken together saw active users rise 12% to 1.7bn. Free cash flow fell from $17.5bn to $15.4bn as capital expenditures rose to $4.4bn and $13.9bn for the fourth quarter and full year respectively. Net cash fell slightly to $41.1bn.